Today is my birthday – as we all know, we need to make some resolutions and do good things on such occasions. So what am I going to do? I’m going to provide you with some great OFFERS and DISCOUNTS on RCA products, and a FREE video lesson, as I always try to give YOU the BEST! First of all, thanks a lot for your greetings, Albrait! It’s always a great pleasure for me to see the successes of my students, while your appreciation motivates me to keep making new and useful lessons for YOU. I’ll not keep you any longer, so let’s jump to the offers! This is a HUGE and important offer – a variable % DISCOUNT is provided for ALL COURSES and WEBINAR RECORDINGS. You’ll get the MAXIMUM BENEFIT of a 20% Discount with this offer on 28th ONLY, so don’t miss it! Do you own any of my courses in English already? Do you want to study them in any other language we have (probably, the one that is convenient for you)? Then you can now get a language version of any one course of your choice with a FREE Language pack! Have you missed any of our webinars? Or do you want to watch them again? Then, this is the best opportunity for you! You can get any of our Webinar Recordings at their standard price! Get them now HERE. Or if you wish to watch ALL of the webinars hosted until October 12th, then you can get the ‘Webinar Bundle’ and receive my webinar recordings (worth 40 USD) absolutely FREE! Get the Webinar Bundle now HERE! NOTE: All these offers end on November 4th and you have the HUGE benefit of the 1st offer TODAY ONLY! So hurry up and grab these amazing offers now! In addition to these offers, I’ve created a video for you and let’s talk about that! A lot of chess players seem to be aware of the tactical motives (like pin, knight fork, etc.). Still, they have a hard time applying that knowledge in their own games. 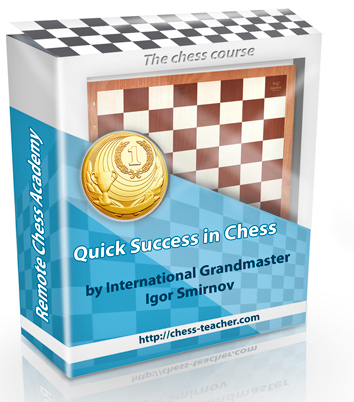 You might have spent quite a lot of time solving tactical puzzles in your chess career. However, here is an important question for YOU: how often do you use those brilliant tactical combinations in your own games? In this video, “How to use tactics in YOUR games?”, I’m going to help you use all this knowledge in your own games. It’s me when I was around 14! With the proper chess outfit!